Upgrade your or a gardening friend's pruners with our Essential Stainless Steel Pruners that are built to last. 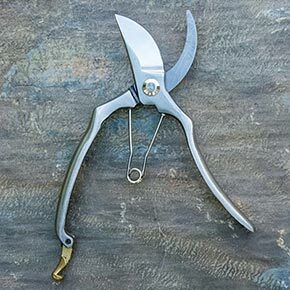 These heirloom-quality pruners combine elegance and comfort in one efficient gardening tool. 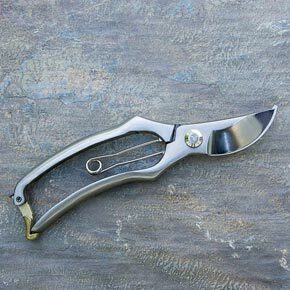 Featuring a smooth finish and an ergonomic contour, our pruners are a big step up from average ones available in garden centers and big box stores. Smaller hands will find them easier to maneuver in tight spaces, and their springless design means they'll easily outlast their contemporaries. 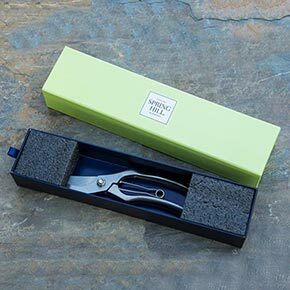 An attractive brass locking mechanism keeps blades safely closed while not in use. 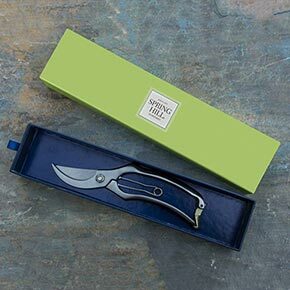 Present as a gift in our stylish box to the favorite gardener in your life.